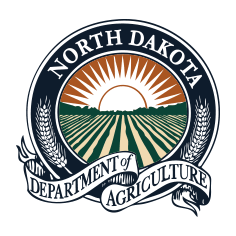 BISMARCK, N.D. – United States Department of Agriculture (USDA) Secretary Sonny Perdue has expanded emergency grazing of Conservation Reserve Program (CRP) acres in North Dakota to include any county in which part of its border lies within 150 miles of a county currently approved for emergency grazing. Goehring said he will continue to work with the Secretary’s office to identify a date for emergency haying of CRP. South Dakota and Montana are also included in the expanded grazing. Producers should check with their county Farm Service Agency (FSA) office for contract-specific requirements. The map with the expanded counties may be found at https://www.fsa.usda.gov/Assets/USDA-FSA-Public/usdafiles/Conservation/PDF/Grazing%20Approved_Final1_06_29_2017.pdf.